Spurred on by spotting Charles Babbage’s (1791–1871) Green Plaque on a building at 1a Dorset Street, Marylebone, I began to investigate the life of this computing pioneer, who began working on the idea of inventing automatic calculating machines at this address from the 1830s. This work followed his invention of a ‘difference engine’, a fixed-function calculator which used existing mathematical formulae to calculate an answer. In contrast, the analytical engine was designed to calculate virtually any mathematical function using programmable numerical data, in any sequence, to find the answer. It would have been programmed by using punched cards, a technique used by loom operators at that time to control the patterns of the woven thread. Punched holes on cards remained as the means for programming computers in many of the IBM and other early 20th century computers. In fact, immediately before the rise of the personal computer, I remember using hole punched cards denoting chosen subject terms as a means of searching for article references. Babbage’s use of punched cards is important as it would enabled the operator to repeat the same sequence of operations and also choose alternative actions depending on the value of a result. A landmark in Babbage’s continuous development of his design came with a significant change of the machine’s internal organisation. He separated the stored numbers (data) from the section which processed it, thus laying the foundation for modern computers’ storing data together with a processor to manipulate this data. Unfortunately Babbage never persuaded the British government or private investors to finance the construction of his machines. Luckily his notes and plans together with his correspondence with Westminster’s next computer pioneer have meant that physical reconstructions are possible. You can see examples of reconstructions at London’s Science Museum. Babbage’s great supporter and an important contributor to his work was Ada Byron, Countess of Lovelace (1815–1852), the daughter of Lord Byron. Her residence, 12 St James’s Square SW1, displays an English Heritage Blue Plaque celebrating this contribution to computing history. “I want to put in something about Bernoulli’s Number, in one of my notes, as an example of how an explicit function may be worked out by the engine, without having been worked out by human head and hands first”. She is posthumously celebrated for this achievement with a modern programming language named after her: Ada. Without the contribution of both parties the design of the analytical machine would not evolved as one of the first programmable computers. In this partnership Babbage was the engineer and Lovelace the programmer and visionary who saw its potential. The final pioneer, Alan Turing had a much more tenuous link with the borough, being born in Westminster at Warrington Lodge, 2 Warrington Avenue, Maida Vale before being ‘shipped out’ aged one to the to the care of relations when his parents left for several years in India. However fleeting this connection he is also recognised with an English Heritage Blue Plaque on this house. Posthumously famous for his WW2 code breaking efforts at Bletchley Park, about which we have written before, Alan Turing is also widely considered to be the father of theoretical computer science and artificial intelligence, providing a formalisation of the concepts of algorithm and computing with his design of the Turing machine in the 1930s and his postwar research. Alan Turing’s work and life is also the subject of the recent feature film ‘The Imitation Game‘. With pleasing symmetry there is a link between Turing and Lovelace. In the 1930s, whilst working on artificial intelligence and computing, Alan Turing rediscovered her notes on programming and this had a significant influence on his research. Further biographical details for all three pioneers can also be found using the Oxford Dictionary of National Biography (log in to all of these subscription sites for free with your library membership card). It’s worth looking to the newspaper archives for further insight too – I found several further references to Charles Babbage in The Times Digital Archive as the newspaper published several of his letters relating to various scientific topics. He also wrote to the Illustrated London News describing, with illustrations, a devise which is similar to an early example of a periscope. This was designed for artillery troops to safely line up guns from beneath a parapet. (ILN Saturday, August 18, 1855; pg. 210; Issue 757). More information about these pioneers and the wider history of computing can be obtained from two further 24/7 reference resources. Credo Reference and Oxford Digital Reference Shelf are both searchable resources which use a number of dictionaries, textbooks and encyclopedias as source material. Just type in the relevant search term, eg: Ada Lovelace, to display a number of links to original text relating to this search. Returning to print, on the shelves of Marylebone Information Service is an useful guide to computing history: A Brief History of Computing by Gerard O’Regan. The book begins with early civilizations such as the Babylonians and Egyptians, who developed mathematics, geometry and astronomy using methods such as a counting board (an early form of abacus) and algebra to make theoretical calculations, and leads right through to modern computer programming and the internet revolution. And the computer revolution goes on. Will the next pioneer come from one of our Code Clubs for kids? There are currently regular clubs meeting at Charing Cross, Church Street, Maida Vale and St John’s Wood libraries, but more are planned – ask in your library for details. In the last week of September Marylebone gained another blue plaque with the unveiling in Wyndham Place W1 of a plaque to Sir Fabian Ware, the founder of the Imperial War Graves Commission (now known as the Commonwealth War Graves Commission). Using the English Heritage Blue Plaques search, I was astonished to discover that there are 282 plaques within a mile radius of Marylebone Library. This area also incorporates the eastern part of Fitzrovia and also Bloomsbury over the border in Camden. However a sizable proportion of this total falls within Westminster’s borders. 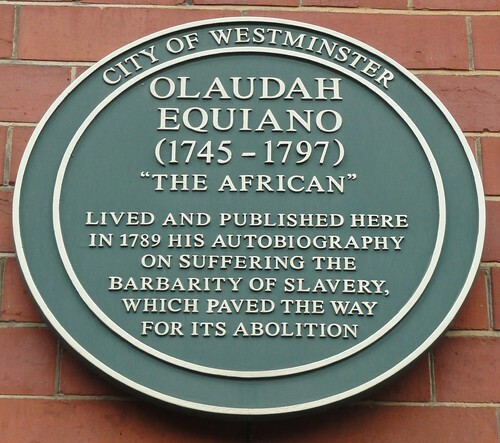 In total the City of Westminster contains 303 plaques, almost a third of London’s total of 887. Added to this Westminster total there are another 62 local Westminster Green Plaques on buildings. The majority of these celebrate former residents. The remainder were erected to record standing significant buildings such as the Savoy Theatre or to record the site of a former building such as the Queen’s Hall in Langham Place. The English Heritage website is solely a location finder for plaques rather than a biographical tool. Clicking on an entry will display details of the plaque’s location and text together with details of the material used in the plaque’s construction. For further biographical details of an individual, consult the Oxford Dictionary of National Biography (log in with your library card) and also the Library catalogue for autobiographies and biographies of individuals.